For more than two years I have been receiving treatment for stage four prostate cancer which had metastasized to six other places in my body. A few months ago I was able to discontinue all medical treatment. The course of the medications over the past years seemed to have worked, I have no more pain and various tests indicate all is well. Future Doctor’s visit will be for monitoring only. A cure? Don’t know, but I am in remission at the very least. Remission is not a cure, it may only be a temporary pause but I am thankful for it. The medications had some powerful side effects. The debilitating side effects came to control my life. During the recent past months, because of weakness and fatigue caused by the medications, I was unable to do much, including travel with my beloved Oliver. During that time, I read about the Ice Age Flood and the Channeled Scablands of Washington. I decided that if I ever got better I would go and see the Scablands. 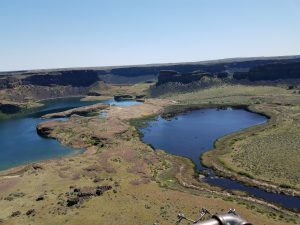 In celebration of Remission, in May I traveled north to Washington and about the Scablands. These are the stories of my travels, but first a bit of explanation about ice ages and the Scablands. For reasons not completely understood, the Earth has cycled in and out of ice ages for millions of years. The cycle includes approximately 100,000 years of polar ice caps moving toward the equator interspersed with interglacials of approximately 12,000 to 15,000 years whereby the ice caps would significantly melt and retreat because warming occurred. The Arctic and Antarctic ice caps of today are remnants of the larger ice caps during the last glacial maximum. During the last glacial maximum the northern ice cap covered Canada and the northern United States as well as much of Europe. On the eastern side of North America, it reached as far south as Ohio with heights of up to two miles. Difficult to visualize I know, imagining an ice cap cliff two miles high rather boggles the mind. And, realizing that maybe 15,000 years ago (a geologic micro-second in the history of the Earth) this was the case makes one wonder about past cycles of ice ages and interglacials. What was going on then, how did mankind survive such cycles? It is estimated that at the end of the last ice age and the beginning of the current interglacial maybe 100,000 Neanderthals were in existence and unknown number of Homo sapiens. The scouring and gouging of the underlying bed rock by the ice cap is still visible today in many places, if one knows where to look. Among places that the gouging can be readily seen is in granite rock outcroppings in New York City’s Central Park. The Great Lakes and the lakes of Minnesota were caused by gouging of the ice cap and compression of the underlying land by the weight of the ice. The Great Lakes were originally filled with glacial melt-water as the glacial ice disappeared as the World began warming at the beginning of the current Interglacial. The Lake’s bottoms are still rebounding upward today recovering from the immense weight of the ice that once lay upon the land. Scientists don’t fully understand the “why” of the gradual onset and abrupt ending of the glaciation. Some scientists assert that the globe has now warmed up by 16 degrees F since the last ice age but don’t know why this is the case. It is thought that the circumstances of the precession and inclination or “wobble” controls the amount of solar energy that reaches the Earth and when the largest amount of energy occurs. And, this in turn affects the coming and going of ice ages. Along with the precession theory, there are other theories as to why this cycle of cold and warming occurs. These includes cosmic forces such as solar cycles (i.e. low number of solar sunspots and changing sun irradiance), solar geomagnetic field strength changes, gravity effects over time of as yet unknown planets, cosmic rays, movement of our solar system through the galaxy, cosmic dust and others or all of them. Who knows? I know I don’t. 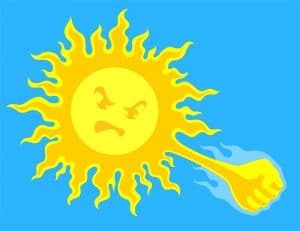 There is currently disagreement as to the cause of the ice ages. What is agreed is that the Earth has experienced these ice age cycles many times and will likely continue to have them. Notwithstanding current global warming concerns, there are individuals who study the past glacial cycles who believe that because of these cyclical circumstances historically, we will inevitability cycle back into another ice age. We currently exist in the Interglacial from the last ice age. Various estimates are that it has been 14,000 to 15,000 years since this interglacial began and this timeframe is longer than other past interglacials, some were as short as 11,500 years. Based on past periodicity of ice ages and interglacials and assuming this periodicity maintains, there is probability that the earth will enter another ice age. Given the regularity of glacial ice advance and retreat over the past millions of years, this is likely a good bet, but the “when” of the timing is not obvious. Some believe that we have started into the next ice age now because early indicators can be observed and that it will become obvious over the next few decades. 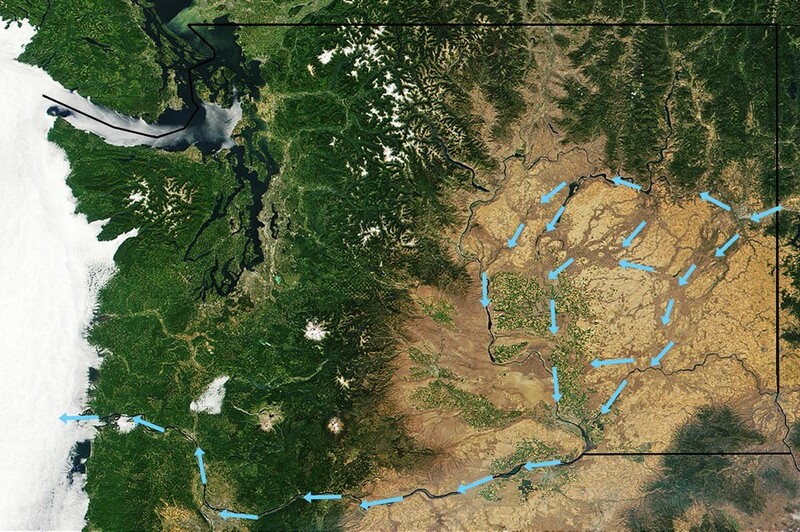 After the beginning of the current Interglacial, between 12,000 to 13,000 years ago a massive flood of difficult to visualize proportions swept through the Washington area depicted below. 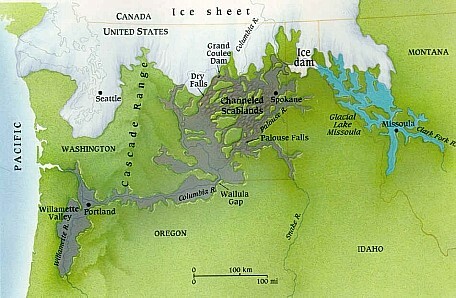 The large brown area is now known as the Channeled Scablands. The arrows indicate the area of this massive flood as hypothesized as being released from Glacial Lake Missoula. There are other hypothesizes that I will touch on in Part Two of this series of articles. 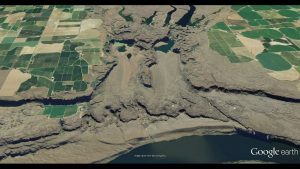 This Flood tore through eastern Washington ripping up trees, stripping top soil down to the bedrock and carving deep trenches (known as coulees today) in the underlying volcanic basalt bedrock. It carried house size boulders for miles and wreaked havoc upon the land. The force and volume of these waters (billions of cubic feet per second) carved the Grand Coulee and the Columbia River Gorge. The Grand Coulee is a 50-60 mile long trench which was a major carrier of the Flood to the Columbia River. The Grand Coulee Dam now backs water into this trench. The area destroyed by the Flood is still recovering today from the violent impact of this flood of floods. In some places the raw bedrock is still observable and Nature has not been able to recover or has done so minimally. I hiked one such location known as the Pothole Coulee which I write about in Part Three of this series. The arrows indicating the outlet to the Pacific Ocean is the path of the Columbia River, give or take a few meanderings over time. Geologist J (no period) Harlen Bretz, Ph.D. spent nearly 25 years studying what he called the “channeled scablands”. 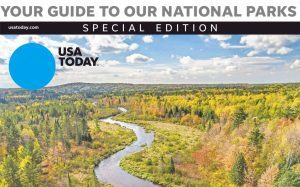 It took him nearly forty years to convince his fellow geologists that his opinion that this scoured out area was caused by a massive flood thousands of years ago was accurate. The geologists disbelieved Brentz’s theory because he couldn’t explain where the water originated. Brentz initially believed that all of this damage was caused by one massive flood event but later geologists believe that it was caused by as many as 80-90 flood events. Others, like Brentz, believe it was one massive flood caused by a singular event. The below depiction provides a different perspective as to the western Ice Sheet at the time of the Flood and the Flood area. The Channeled Scablands are now considered one of the “Seven Wonders of Washington State”. And thus the reason for my first travel after stoppage of cancer medications. I will explain more about the “channeled scablands” in future articles. When I left home at approximately 6:00 a.m., I took my leaving with a certain amount of eagerness and an equal amount of reluctance. It had been sometime since I had been interested in traveling or was able to do so. 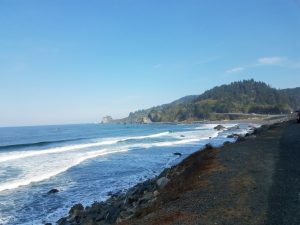 I was eager to go again but my leaving was tempered by internal questions as to whether I had enough strength and energy to be out and going about. But much more so it was because I would miss my family, especially my daily ration of my recently born great grandson who lives with his parents five houses away from my house. When you are as old as I am, the advent of a baby (now toddler) into your life can be profound and a great joy. It was for me. My intended travel path from my home was SR 20 east to IS 5 north to US 97 north until I met the Columbia River where I would begin my travels into Washington and the Scablands. While eager to be traveling once again, I drove slowly and alertly on Highway 20 because of the sunrise light in my eyes but more so because I was in no hurry, being of a relaxed mind. It was pure pleasure to be once again traveling with my beloved Oliver. When I reached IS 5, I stopped at Granzellas, a locally famous restaurant and deli, and picked up six quart jars of local grown olives as directed by my wife. Not being especially hungry, I was not particularly interested in my usual breakfast of eggs and such. Instead, I bought a Big Tom deli sandwich to go. When I returned to the parking lot, I was approached by a man who wanted to know about the Oliver. He said that his trailer had burned up last year in the Santa Rosa, California fire and he had yet to buy another, so he was very much interested in my thoughts about the Oliver. I spent nearly 45 minutes with him answering his questions. After that, I headed north on IS 5 until I reached US 97 at the community of Weed. IS 5 passes on the western side of Mt. Shasta. Traveling north one gets a terrific windshield view of the west and south side of this volcano mountain. 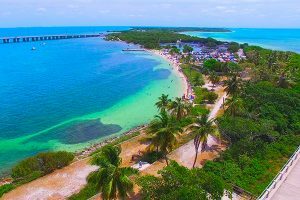 Traveling on US 97 provides an opportunity to more closely view the north side as well providing views of the east side. I stopped several times just to walk around and appreciate being on the road again. The community of Weed got its name from the founder of the City and has had this name for a very long time but it strikes me as a particularly appropriate name today, given the legal pot economy in California. I am sure some enterprising marketing guy is using that idea already. Klamath Falls was the first town of consequence in Oregon along 97. Except for stopping for gas, I passed through Klamath Falls and continued north. 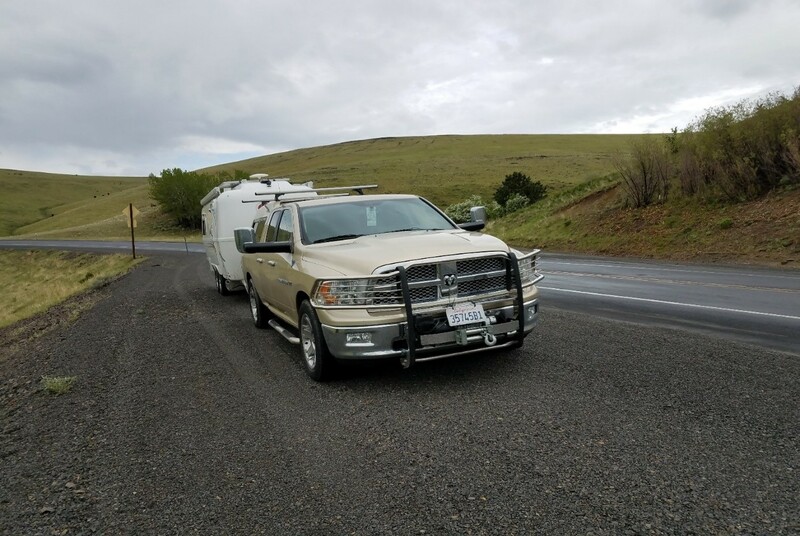 Approximately 25 miles north of Klamath Falls, I took a gravel road from US 97 to the USFS Williams Lake campground in the Deschutes National Forest. My chosen site for the night required me to spend a few minutes leveling my Oliver, I had barely parked and leveled my trailer when a woman walked up and introduced herself as being from a nearby camp spot. She and her fellow campers had seen me pass by on the way to my camp location. 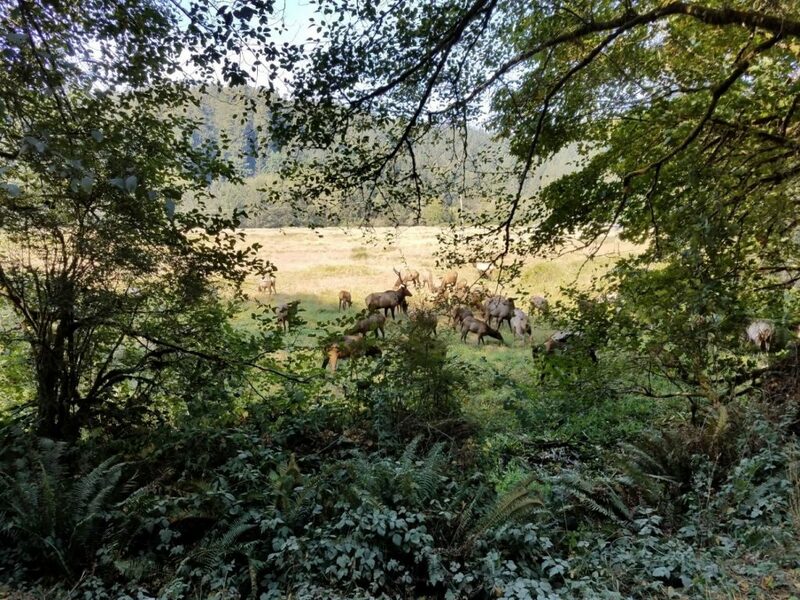 She indicated that she and her husband and another couple they were camping with were curious about the Oliver as they had never seen one before. 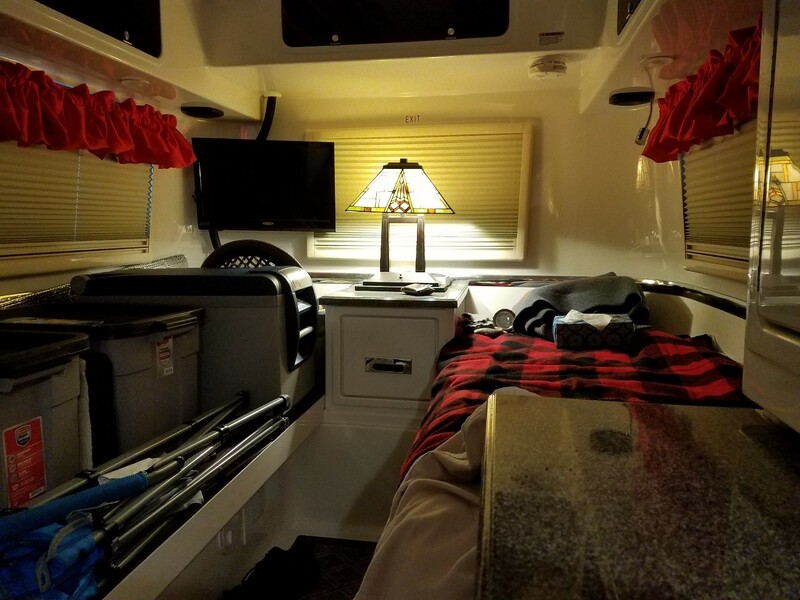 She introduced herself as Rocksie, stating she was called that by her family and friends because of her habit of collecting rocks when traveling with their RV. She indicated that she was a retired school teacher with a lifelong interest in geology. 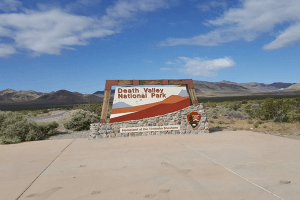 When she was teaching, she and her husband would travel about the West in their RV and she would gather various rock samples for a show-and-tell to her students. Rocksie was very interested in all of the available storage as she thought of the Oliver as being “little”. 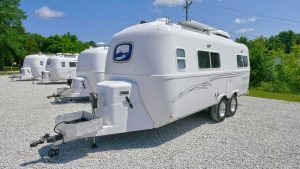 She and her husband drag around a giant fifth wheel so compared to her fifth wheel, it is little. I told her that one of the great virtues of the Oliver was that I could take it many places that she could not consider with her fifth wheel. Finally, she was interested in my solar setup and the fact that I did not need a generator while boondocking. Rocksie was also interested in my ARB refrigerator/freezer that I could run from my batteries for an extensive amount of time. Upon leaving, she invited me to come down to their campsite where she was camping with her husband and friends. After a bit, bag chair and cup of cool sweet-tea in hand, I went to their campsite and spent a very pleasant hour or so talking to them. They were from La Pine, Oregon near Bend. Rocksie invited me to stay for dinner of pork ribs that she was preparing but I declined for two reasons. One, she prefaced her invitation by stating, “I think I have enough for you if you would like to stay for dinner with us.” To me her preface was a sure give away that she was being polite and not truly sincere about the invitation. If she had been more sincere, she might have said something along the lines of, “we have ample, we would be pleased to have you stay for dinner”. Being from the south, I understood the need to invite and I know if I had stayed she would have made sure I had ample even if that meant she had to short herself and her husband. After reading some, I went to bed about 8:00. This was my first day of being on the road again. It was mostly uneventful but highly satisfying. I slept well because of the satisfaction of once again traveling with my beloved Oliver.